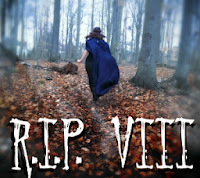 I was super excited about RIP VIII back at the beginning of September, despite having a life-long aversion to anything that relates even remotely to things going bump in the night. 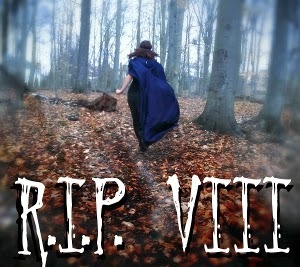 I think that what blogging is teaching me is that I am very impressionable when it comes to anything bookish. Actually, though, I read some really good books that fit in perfectly with the gloom and general rain and increasing darkness of September, were masked by sunshine in the US and then gave a good run up to Hallowe’en. Being a sheep has its advantages! I’ve only managed to get to reviewing one of these, because I’m a bit naff when it comes to reviews these days but I’ve included ratings (out of 5) to prove to you that I’ve really read them…ALSO, I don’t have the internet at home after our move yet (but will have after this weekend!!) so forgive the two week delay in rounding up, please! 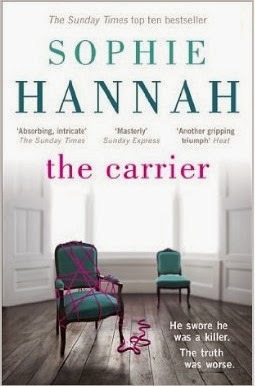 The Carrier by Sophie Hannah (4 stars) – I was persuaded to read this by random posters advertising it in Leeds train station (because of the aforementioned bookish impressionability…) and it turned out to be a terrific example of British crime fiction. There’s a certain dry tone and a liberal use of sarcasm that make it just feel so English that I couldn’t help but love it. It isn’t super action-packed but it’s a tangled mystery with some great characters so it worked for me! 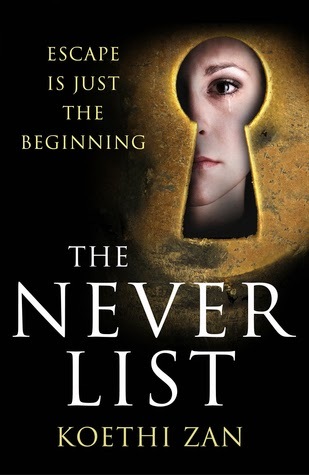 The Never List by Koethi Zan (3 stars) – the only one of my reads that I managed to review…read that review HERE. The short version? It was ok. 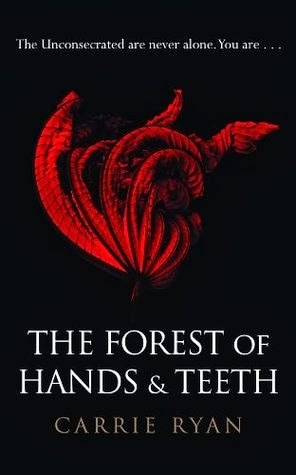 The Forest of Hands and Teeth by Carrie Ryan (4 stars) – a kind of zombie-based post-apocalyptic/dystopian novel that reminded me quite a lot of the film The Village. I thought I’d burned out on YA but this one was a lot better than most and didn’t make me feel all grumpy and old. I think because the characters behaved much more realistically and weren’t all gung-ho about zombies or romance or their life-or-death plight. Definitely a series I’ll carry on with at some point. 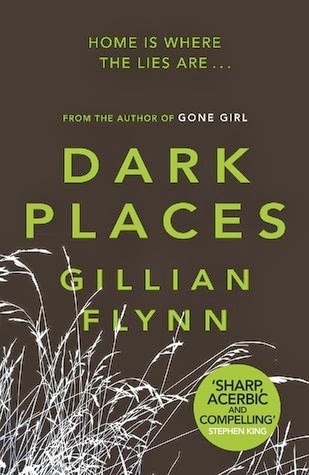 Dark Places by Gillian Flynn (4 stars) – Proof that Gone Girl wasn’t a one off and that Gillian Flynn excels at making me love reading about characters I hate! I didn’t fall quite as much for it as I did for Gone Girl but it was still excellent and I read it in a couple of days so all good. 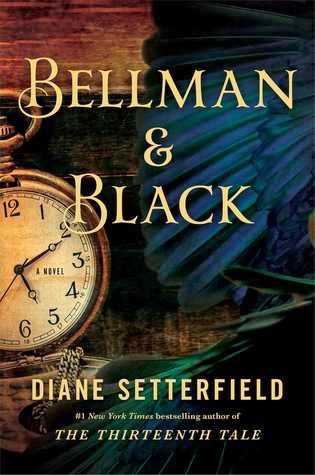 Bellman and Black: A Ghost Story by Diane Setterfield (4.5 stars) – I’ve seen a *lot* of negative reviews for this but I was a huge fan. 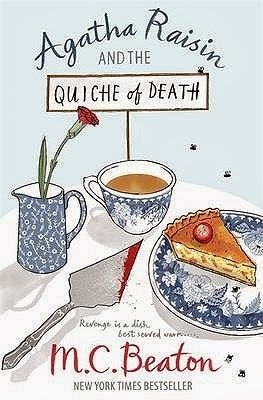 It was a kind of quiet, atmospheric book and the writing was some of the best that I’ve read in a long time. I think that most criticisms might be stemming from the fact that Setterfield hasn’t tried to re-do The Thirteenth Tale and has gone with a much more subtle story. After the action of her debut, I can understand that Bellman and Black might not have the fireworks that some readers were hoping for. I wouldn’t go so far as to say that I preferred her second novel but I definitely enjoyed it and will be raving about it at some point before the year is out! Films are where I stop being brave. In a fit of courage, I ordered the recent adaptation of The Woman in Black from LoveFilm and persuaded Boyfriend that I’d read the book and, although it was a bit ghoulish and creepy, it wasn’t absolutely terrifying and I was pretty sure that we would be ok spending our Sunday evening watching the film. What. A. FOOL! The film doesn’t exactly follow the book so I was a bit wrong-footed and confused at first. Then the middle came and I was extremely freaked out – it wasn’t the sinister aspects of the story itself that was scaring me but the loud noises and horrid sound effects and disturbing music and…well, ARGH! My eyes at least read at a pace that they can absorb horror in and throwing it into my face with loudness is just…no, thank you. By the end, I was more-or-less permanently behind my cushion and then befuddled by the changed ending that doesn’t really find with the book at all…all in all, not a great foray into the world of horror on the screen and one that convinced me that at least in one respect, I’m still a hopeless wimp. Phew!